At least, that’s how it looks from the street level. The buildings are built close to the roads, with only narrow footpaths that are only occasionally dotted with trees. Those trees are usually subject to harsh pruning by laborers armed with sharp saws and little horticultural knowledge. 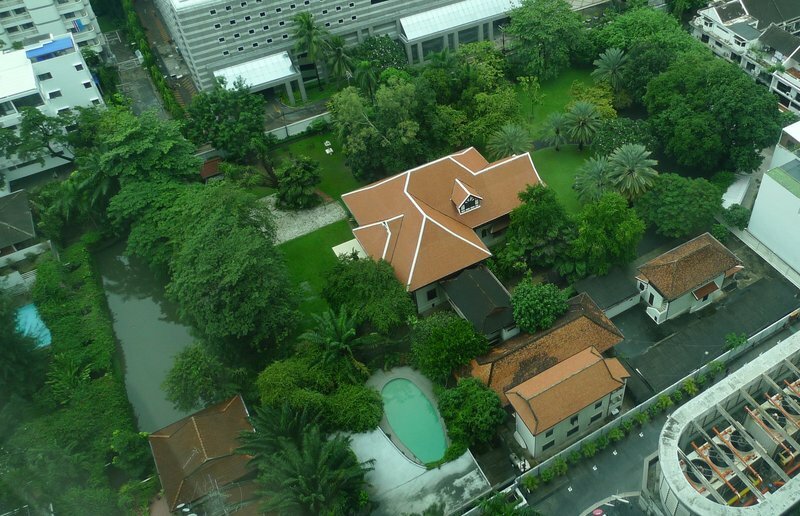 Over time, my understanding of Bangkok’s relative verdancy has evolved. What I have come to see is that the city has a lot of green space, but that most of that green space is not public. Sure, as you walk down the alleys and streets, you may see some trees and bushes. For the most part, though, they are on private property, peeking over high walls. As a result, you walk in the full heat of the tropical sun. 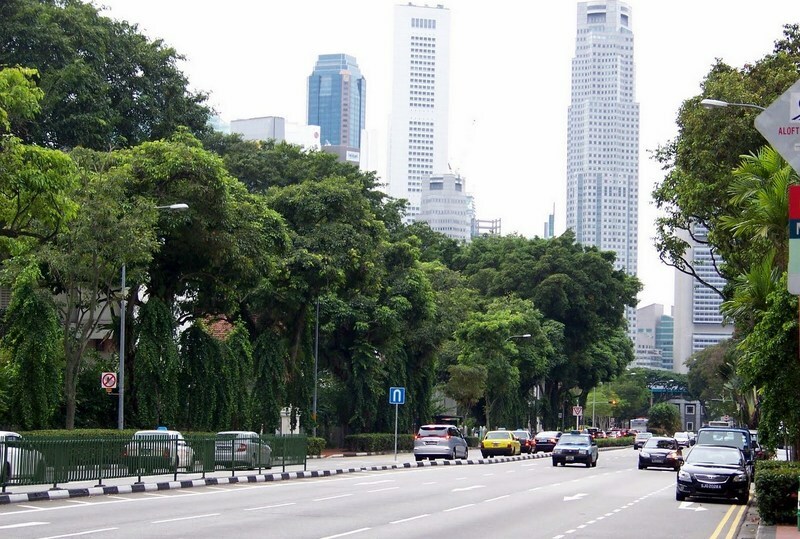 Compare this with Singapore (pictured above) or even Kuala Lumpur, cities with mature trees lining the public footpaths, providing shade, cleaning the air, and making the city more pleasant. Now, don’t worry – I’m not about to turn this into a Bangkok-bashing, Singapore-loving entry. I just find the comparison to where our greenery lives interesting. 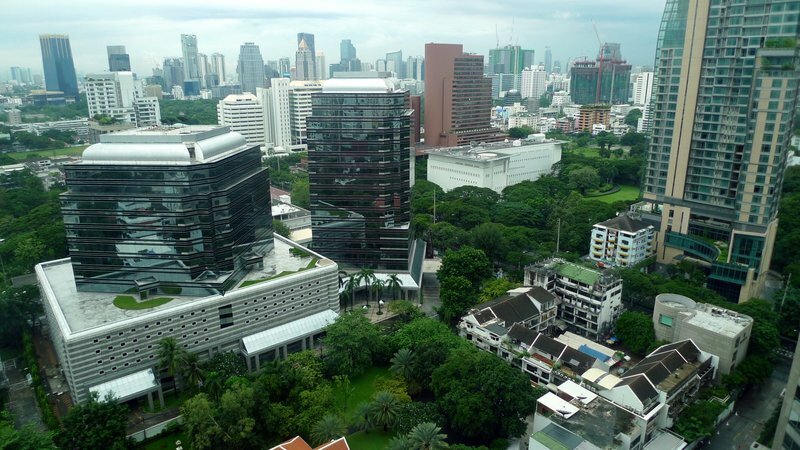 When you rise above the street level, as in this view from the Conrad hotel in the particularly lush Wireless Road neighborhood, you can see that there is quite a bit of greenery in Bangkok, although as mentioned before, much of it is not visible from the streets. In fact, some of the grander houses live in a lush, tropical paradise. Except for the high rise buildings looming overhead, you would think you were in a jungle! Sukhumbhand Paribatra, elected this past Sunday to a second term as governor of Bangkok, has promised to radically increase the amount of park land. 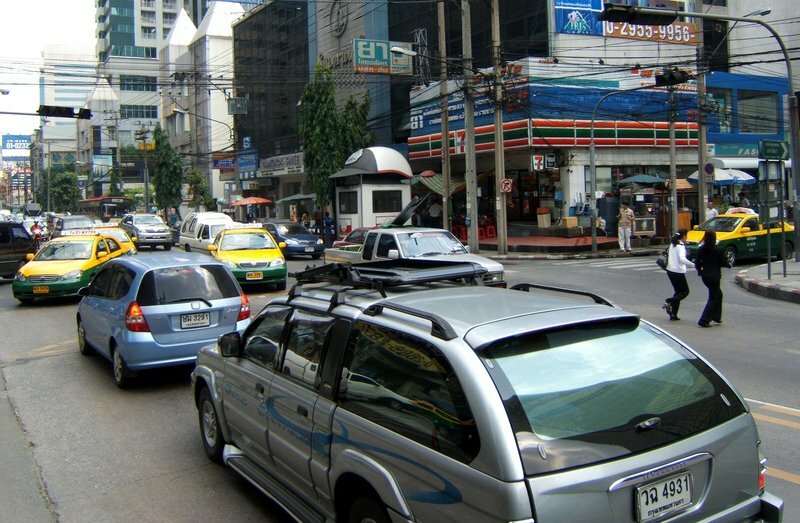 By most estimates, Bangkok has less than one-tenth the amount of green space per resident compared with an average city. Let us hope that some of this green space can be expanded out of parks and into our everyday lives. This entry was posted in Uncategorized and tagged Bangkok, green, health, park, planning, space, trees, urban, verdant by christao408. Bookmark the permalink. Interesting. I guess I take for granted the tree lined streets of my town… Gives me pause. Interesting view of the city. I to take for granted our tree lined streets and spacious parks. Ii guess in some sense this is “paradise”. I hope the governor will honour his promise. I didn’t really notice how hidden all the greenery is. I don’t know how those poor trees (in your first pic) can survive. Chris, first of all, I really love that you post about topics on cities and town planning – I don’t see these topics being posted by anyone else here on Xanga (granted, I don’t read that many people’s blogs) and I appreciate the interesting insights I get from your entries.I’ve only visited a few cities in my life and I’ve noticed the difference between Australian cities and Asian cities. I’ve always felt that Australia (and I’m sure it also applies to Europe, USA, Canada, New Zealand, etc.) has more visually appealing and healthy cities when compared to Asia.I have actually noticed that Asian cities (Chinese cities, Bangkok and HK – are the ones I’ve visited) tend to fence off any small amount of greenery there is and the rest of it is filled with countless mishmash of ugly/utilitarian buildings, along with gigantic/grotesque pieces (either to show Communism ideals, religious ideals or to show, in a brash way, one person’s wealth over others). This makes me believe that it’s an “Asian thing”.This is why I don’t take for granted that I live in Sydney, where there’s so much room everywhere, and where building design and town planning is more strict (even public toilet buildings are attractive in comparison to buildings in Asia).Regardless of this, I really enjoyed being a tourist in Bangkok and noticing how Thais behave as a collective whole – different, beautiful and graceful in a unique way. I found it really elegant how pedestrians walk across the road with an outstretched hand, with palms down, when cars are approaching. Among other things. thank you for sharing this post Chris. although i haven’t been back in a long time, the lushness of asian greenery is a sight to behold – especially during a brief rainstorm. i think it’s very important to maintain this appreciation even in a big city. it really is therapeutic to have that contrast of concrete and a natural asthetic. I love going to central park for this very reason. 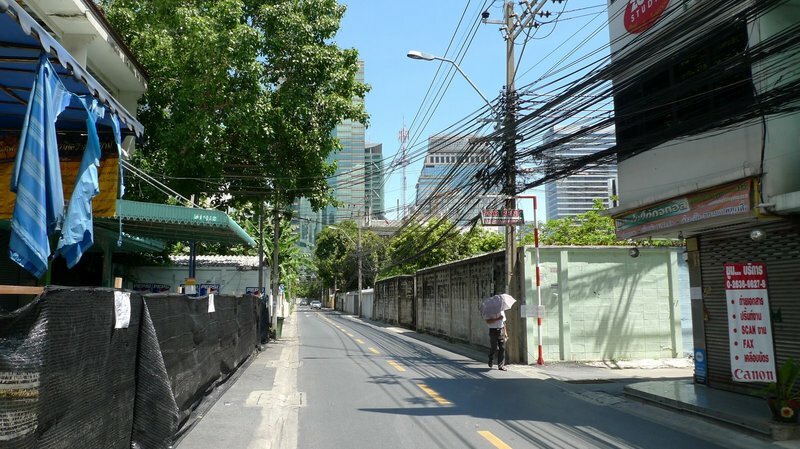 I believe Bangkok & Manila are somehow alike in a lot of ways, the way it looks (minus the grand temples – we have churches), the narrow streets, lack of trees and bad traffic. Anyway, finally booked a flight to BKK to see it for myself then I can make a better comparison haha but my trip is not until March next year. 🙂 We’ll see if there will be more parks by then. In the pursuit of civilization and grandeur, the city has sacrificed natural beauty it seems. Malaysia … ah, how I miss my country now. Can you think of an Asian metropolitan that is lush and beautiful? yeah. not much different from jakarta. and i have to agree, the trees in singapore are lovely. one of the several positives of the country that i can think of.